My brother, Nathan, and I are on completely different career trajectories: I’m an event planner and he’s in the Army working with explosives. I’m guessing that this is his official job description, but all I know for sure is that he has a security clearance and we’ve called him Hurt Locker. 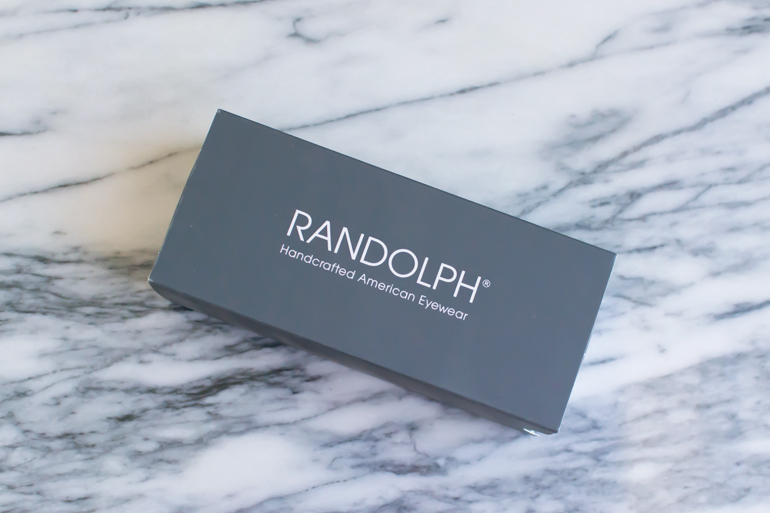 So, you’ll understand why I was feeling awfully savvy when Randolph Engineering reached out to me about their American-made sunglasses. The brand is the “Frame of Choice” for the Department of Defense, giving soldiers like Nathan an alternative to the standard military-issued eyewear. 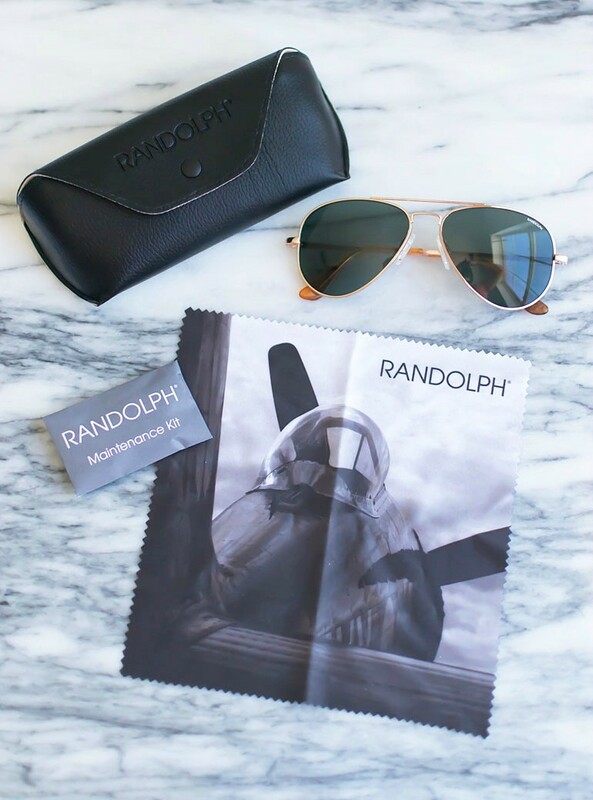 They also supply sunglasses to the U.S. Army and Navy and allied Air Forces worldwide. I, however, opted to try out the non-military-issued rose gold frames. 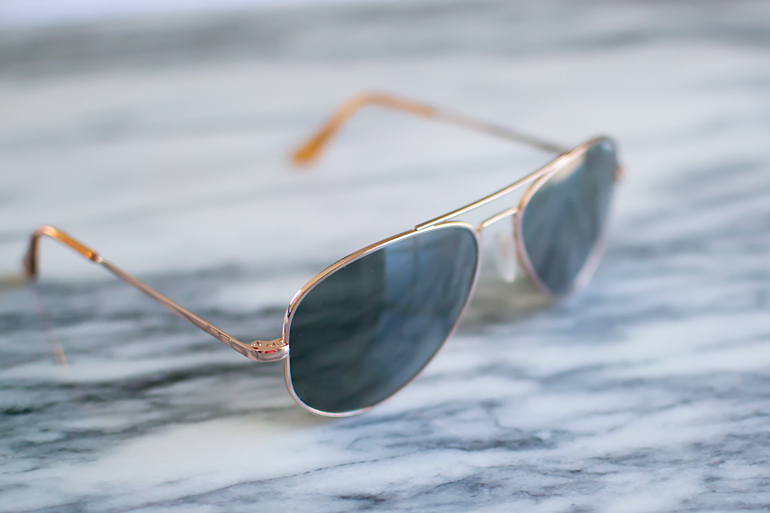 They’re a glamorous update to the classic aviator style and, as you’d expect from their military partnership, the quality is impeccable. They’re lightweight, sturdy and comfortable. Another retailer with on-trend pearl jewelry. This wrap ring is too cute. My latest shopping steal: Kate Spade’s Larabee Dot large rose bowl and the Hopper Dot mini rose bowl for $55 total. Thank goodness for killer sales at the Boston Store. If you’re in the Milwaukee area, they also have the silver and black tidbit plate sets for under $20. I’m gearing up for another six months of the French Wardrobe Challenge and after cleaning out my closet, it’s evident that I need a game plan before the new season kicks off. Without having a plan in place, I’m prone to add too many impulsive purchases that don’t do much for my closet. 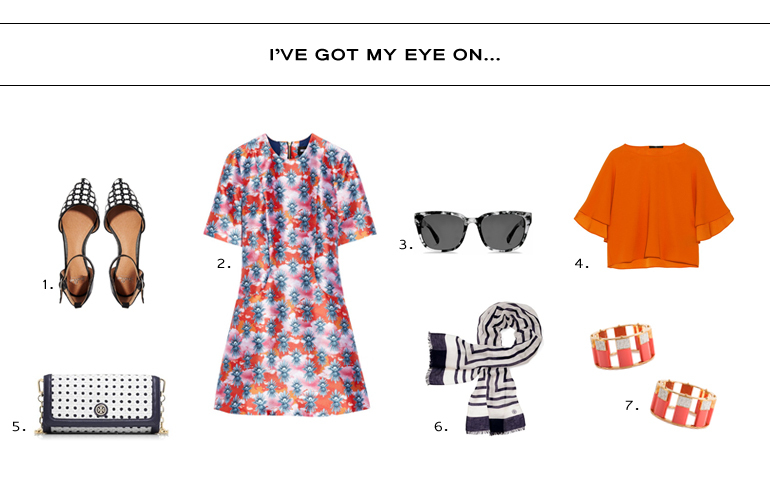 So, I’m approaching the new season like a collector who is curating the perfect wardrobe. I spent a lot of time this weekend thinking about this and came up with four steps that helped me focus on exactly what I’d like to add this year. 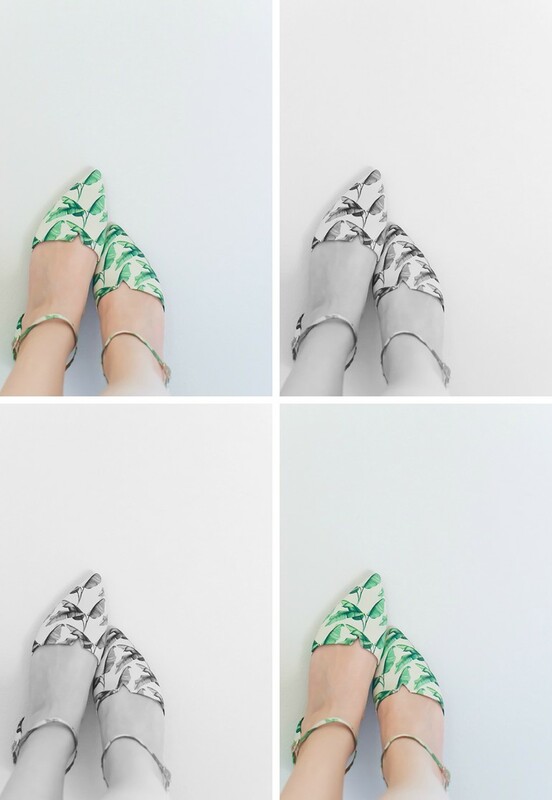 Narrowing down your color palette for spring and summer is going to help for two reason: it streamlines purchases and guarantees they’ll work well together. 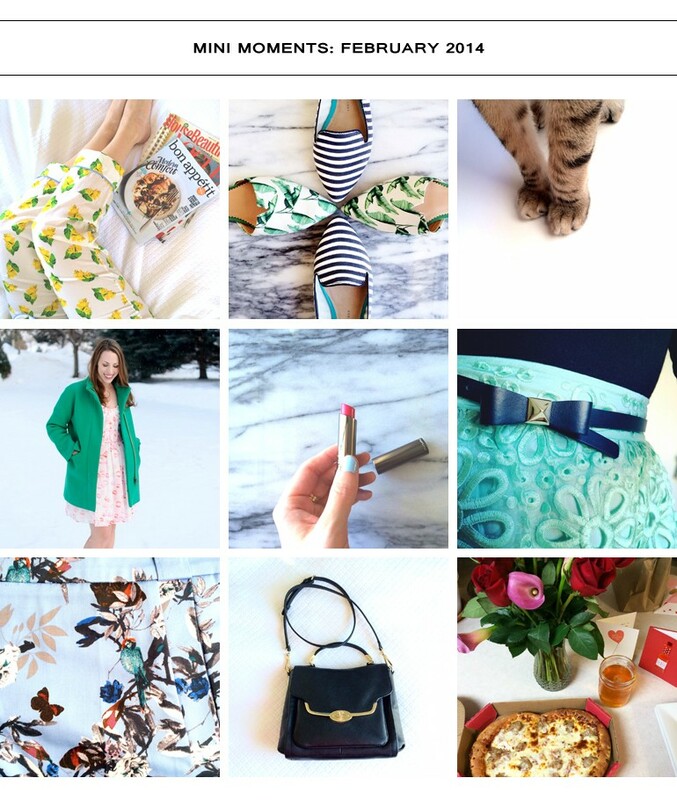 To do this, I evaluated my Pinterest page. 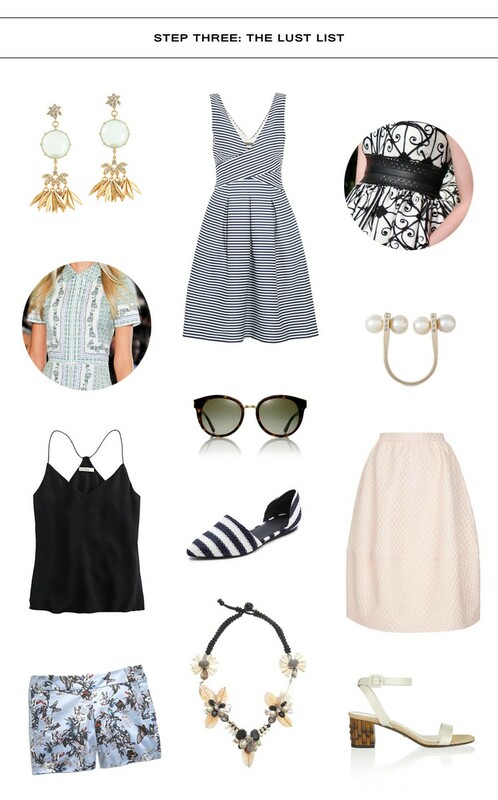 The majority of my recent wish list pins were in five colors: mint, navy, blush, black, white and sky blue. 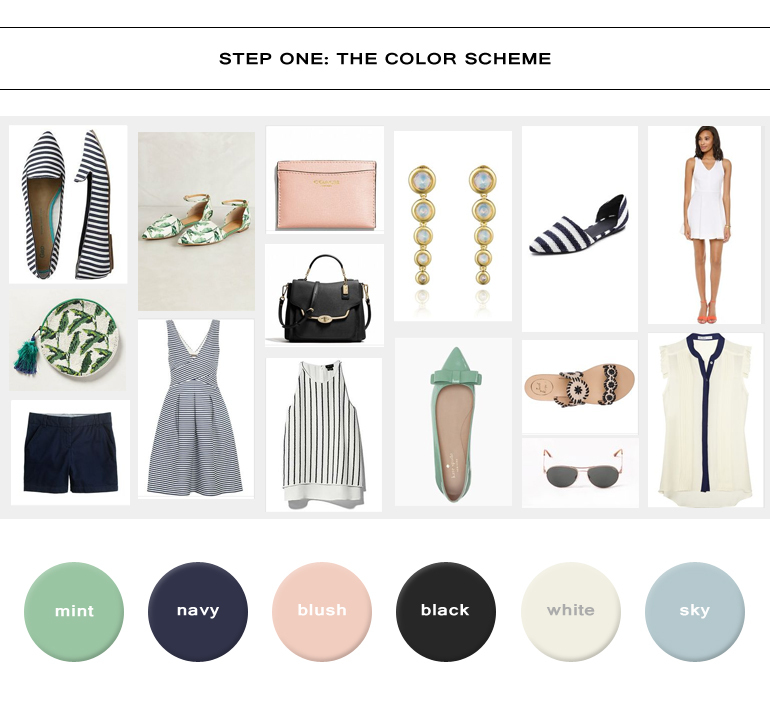 These colors work together beautifully and while I may add in a wildcard color every so often (like my red DVF purse), this is a great starting point to begin planning my purchases. I think this is going to be the hardest part for me. 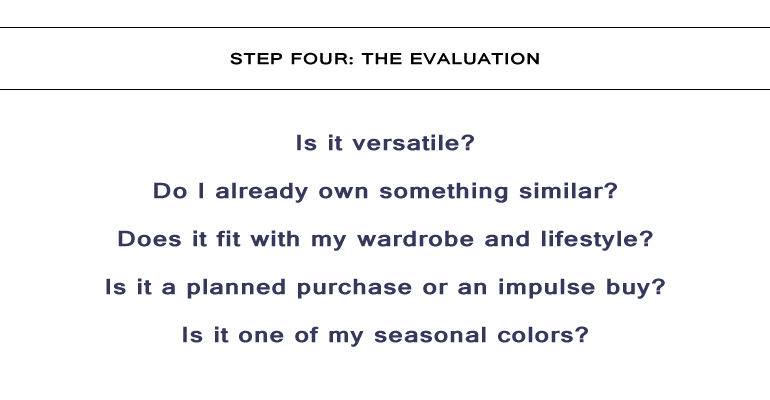 It’s too easy to get wrapped up in the euphoria of a new purchase, but I need to be ruthless with my evaluation. For example, my wish list includes a full skirt in a pastel color. I picked out a pink one for my collage, but I actually already own a mint one (you can see it here). It already works with my color scheme, it still fits and I enjoy wearing it. So, do I honestly need another? Probably not. 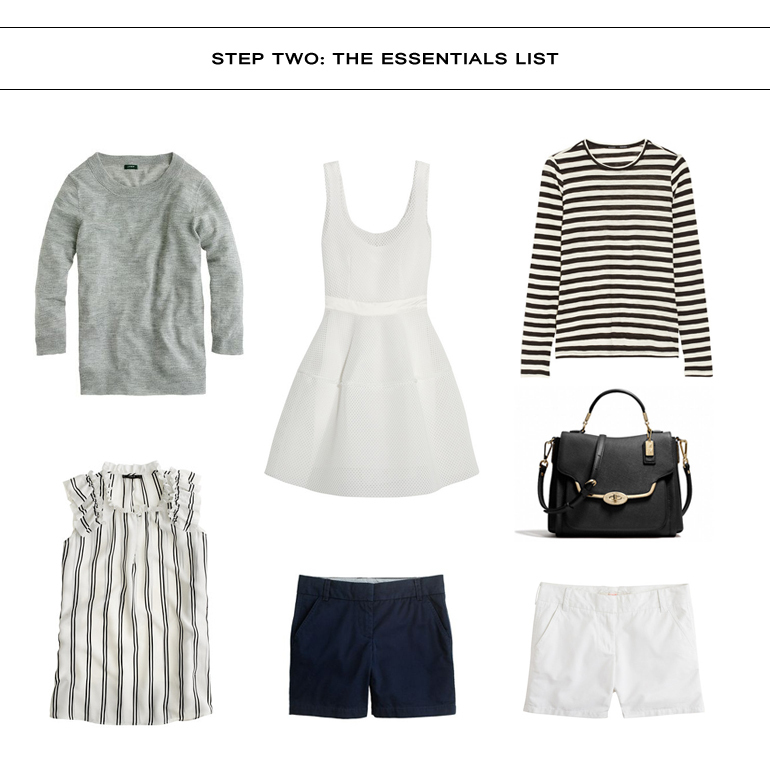 This isn’t meant to talk yourself out of new items, but it is a way to make sure those potential purchases are items that really could elevate your wardrobe. 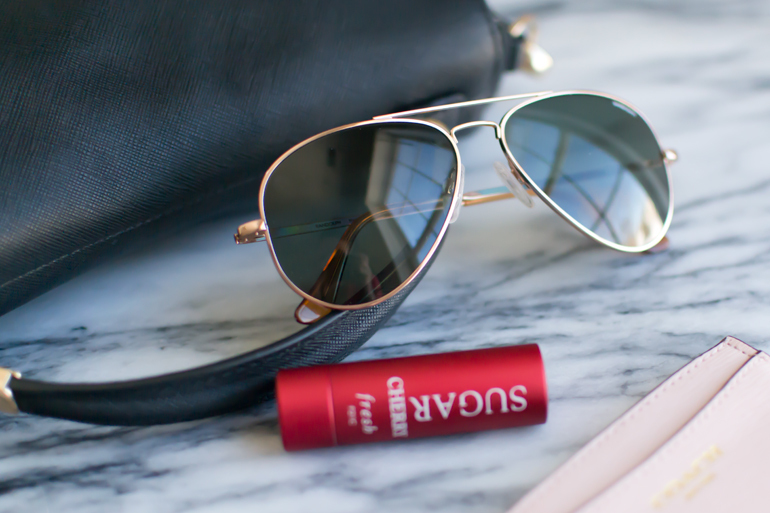 So, what’s on your must-have list for spring and summer? Do you plan your purchases for the new season? I could use any tips you have!